We are GUEST BLOGGING over at TIDYMOM today!! I am so excited that Cheryl invited us to post one of our Father’s day ideas on her amazing website. If you haven’t been to TIDYMOM website yet, then you have been missing out. One of the 1st blogs I ever started following. So we are OVER the moon to be guest blogging with Cheryl. Thank you! Don’t walk- RUN!! Visit us at TIDYMOM today and leave a comment with a HELLO See you there! Stopping by from Tidymom (love her!) 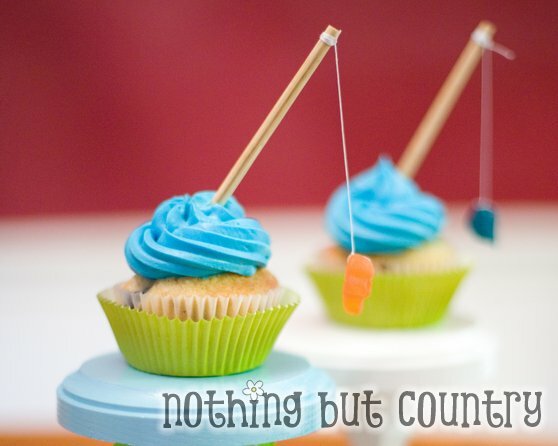 I just adore these cupcakes and am going to enjoy reading your blog! Thanks for making the world a prettier place! Thanks again for guest posting today! You guys rock and are incredibly talented!! So proud of you, Mary BEth! What an awesome feature you got today! And the cupcakes turned out so cute! I showed my mom your post and she immediately was like, “WHERE DID THEY GET THOSE CUTE CUPCAKE STANDS? !” So with a quick click to your other post – I showed her. You guys are awesome! 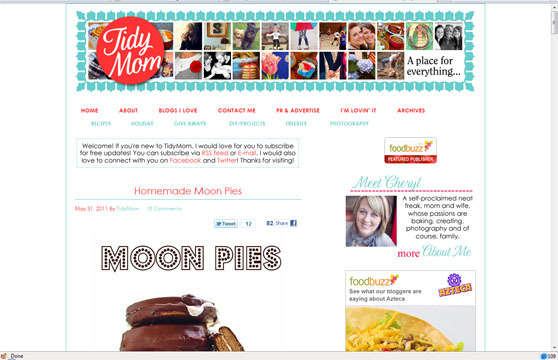 Thank you so much I am so honored that TidyMom featured us. It’s been such a great day!! Thanks for the comments!! HUGS!! Those are so cute Mary Beth!! I saw your guest post over at TidyMom and I have to say that this is the best homemade Father’s Day Gift I’ve seen so far. I love them! SO clever! They look yummy! I LOVE these cupcakes! You are so creative! Thanks! These are so so cute! Thanks for sharing! So Cute! I found your blog through a link party and LOVE it! I am your newest follower and would love it if you would check out my blog and follow me too! Thanks! I love this cupcake tutorial! I am on my over to Tidy Mom to get all the deets! I am now a follower! Please check out my blog at http://www.belvajune.com and follow me too! I would love to feature some of your adorable ideas! I love these! I featured these amazing cupcakes (and asked readers to click through to Tidy Mom) on my Tuesday Treasures blog post this morning! I’d love for you to come check it out! Love this!!! Just pinned it! I love, love, love these cupcakes. They are brilliant! These are just too adorable! What a great idea! How fun are those! Love the tiny poles! Thanks for linking up with DIY under $5! The cutest thing ever. I’d love for you to share it at my link party on Wednesday… Love them! I shared this with a woman who owns a cupcake blog. These are super cute! Think I’ll have to make these for my husband. Hey just wanted to let you know I featured this in a blog post today! Thanks again for sharing! I love these! It’s too late for Father’s Day, but my Dad’s B-day is in a couple months, he’s a big time fisherman! I think I’m gonna give it a shot. Maybe I’ll add some swedish fish to the end,then again, they might be too heavy. Thanks Again!